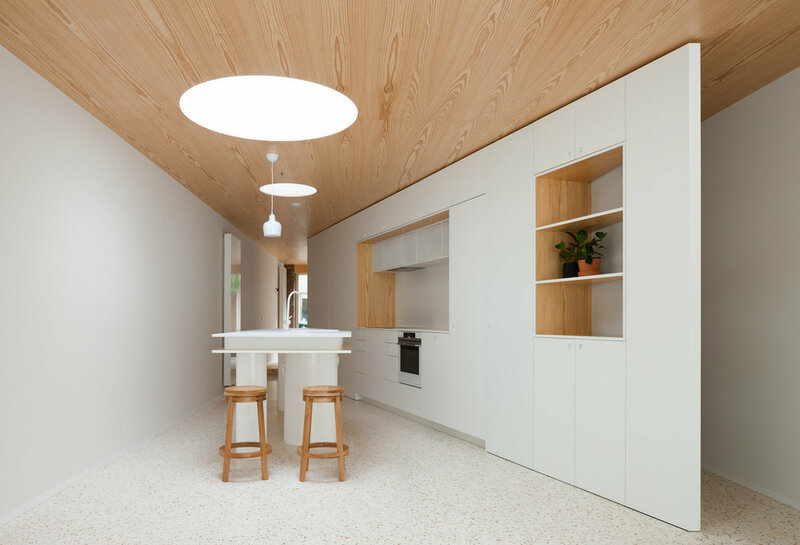 Located in Ghent, Belgium, the House L & W is a minimalist design home created by Fragmenture. The home is roughly 190-square-meters in size, which is a sizable space and canvas for Fragmenture to work off. The residence originally suffered from a lack of light and openness which I can only imagine directed the design response. By removing the partition walls they were able to create a completely new open space and layout. The home had at the beginning a couple of outbuildings at the back of the home that was removed for a new compact extension. The ground floor has been designed to house the main living spaces including the bathroom. The kitchen's bench has been shaped to fit the space within and provides all the necessary functions that you would expect. At the side/back of the kitchen is a 'dark room' which is home to further storage and the laundry room. The living room has been designed to accommodate a cozy feel and sits off from the more functional areas on the ground floor. The entire ground floor creates an oblique line that encourages a unique perspective within the home. The first floor offers similar aesthetics to the ground floor with a comfortable and familiar feel that would expect. The thing that I like the most, is the way that they have used the contrasting materials such as coloured wood, terrazzo flooring and clean white walls, including the furniture, through-out the home. 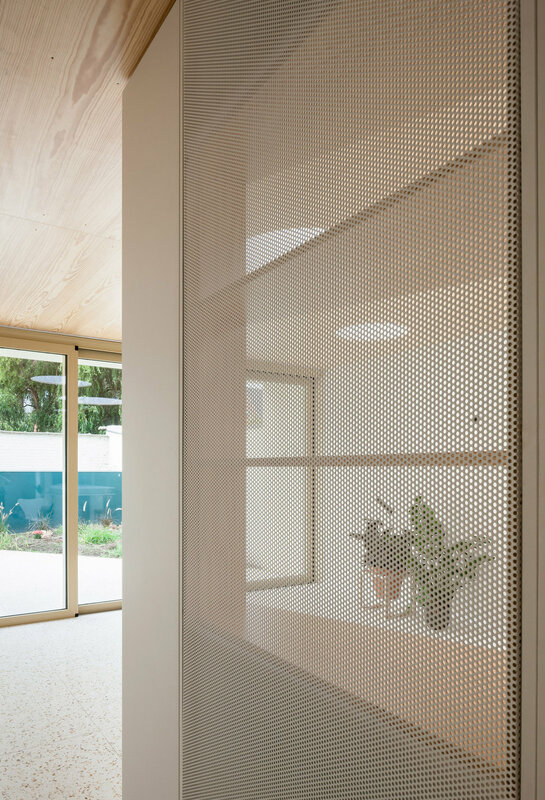 The use of a perforated steel wall also creates a unique sense of intrigue that works wonders with the overall design.